A Celebration of Life Service for Bethel Firefighter Ira Pollack was held on Saturday, February 2nd, from 1 P.M. till 5 P.M. at the Bethel Fire Headquarters 38 South Street Bethel Connecticut. View more information about the service here. 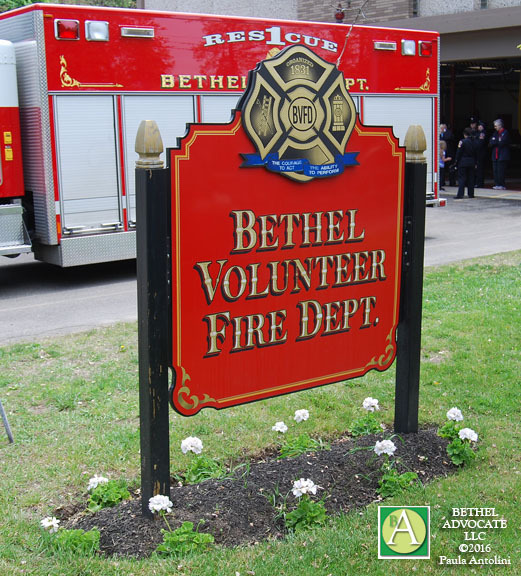 “I would like to take this time to thank the members of the Bethel Fire Department for your support and professionalism during our difficult day yesterday. I am proud of each and every one of you. “I also would like to thank the following: The Town of Bethel for the use of the municipal center parking lot and for displaying truck 2. HARTransit for the shuttle bus service, Putnam Lake Fire Department for the M. E. R. V. West Redding Fire Department for covering for us and all you did to help through our the day. The Stony Hill Fire Company for your help in directing people as we were limited in parking. The members of the Connecticut Statewide Honor Guard that helped during the week. The Vitech crew that covers our ambulance daily. The Bethel High School for setting the video feed from upstairs to downstairs. And to the countless people that that came to pay their respects to our brother Ira and support his family during this difficult time.